Searching for perfect book lovers gifts? Rejoice! 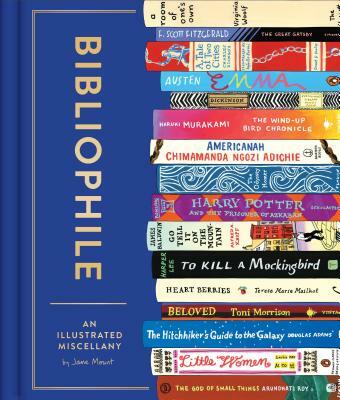 Bibliophile: An Illustrated Miscellany, is a love letter to all things bookish. Author Jane Mount brings literary people, places, and things to life through her signature and vibrant illustrations. It's a must-have for every book collection, and makes a wonderful literary gift for book lovers, writers, and more. If you have read or own: I'd Rather Be Reading: The Delights and Dilemmas of the Reading Life; The Written World: The Power of Stories to Shape People, History, and Civilization; or How to Read Literature Like a Professor: A Lively and Entertaining Guide to Reading Between the Lines; then you will want to read and own Jane Mount's Bibliophile.